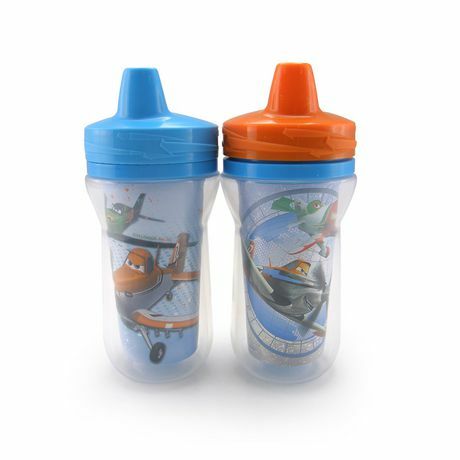 Much like soothers and bottle styles, children have distinct preferences when it comes to sippy cups. It could be the flow, the way the cup is weighted, how the shape fits in their hands, or just the design! At anywhere from $3-$12 per cup, you don’t want to go through too many before finding the right style. Once you do, you know there’s a risk that they go missing, so you’ll need a few. We’re talking a sizable investment! To help you figure out what style might work for your little one, we’ve looked at 4 different styles of cup on the market. We’ll give you some pros and cons, along with some signs that this might be the cup for you. Most starter sippy cups are of this chubby variety with two handles. The grips help your little one balance the liquid as they aim for their mouths, and the shorter style limits the content weight. Generally the spout has a lower flow, occasionally with a stopper that can be removed, allowing you to control the force required to get the liquid. 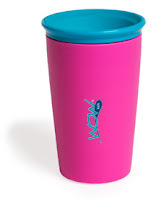 Pro: These cups are made by a variety of companies and are readily available. 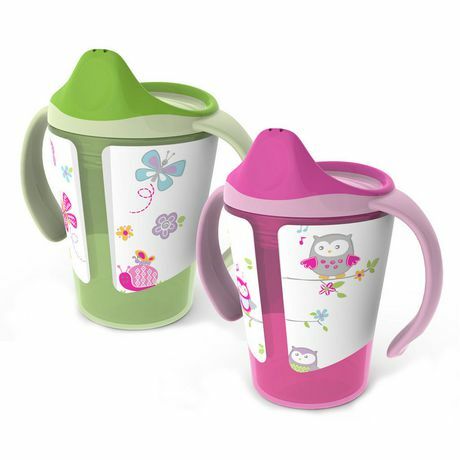 They are inexpensive and can come with a softer spout, allowing babies to easily learn the mechanics. Con: Cups with handles can sometimes be seen as toys. This can lead to loud banging and more spills than actual drink training. Usually reading 9+ months, these taller and more slender cups require a little more strength and control. There are many brands than make these cups with spouts that are soft or hard plastic. Many allow you to control the speed or lock the top entirely for easier transport. 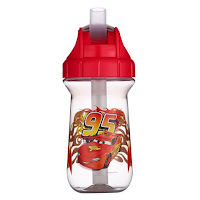 Pro: Fun designs for your child’s growing taste. Con: Less flow control means sometime junior spills more than he consumes at first. Very gender specific patterns and colours are just about all that's available in this size. If your little one has struggled with the spout, or just seems to dislike it, give a straw a try. Although these styles are generally targeted for 12+ months, many come in short, low flow, and two-handle varieties. Pro: Since your little one wraps their entire mouth around the straw, the liquid is more likely to make it in their face than their laps. Con: If baby is used to tipping a cup up to drink, they may get confused with this at first and not drink well. Try it at home until they get the program before sending it to daycare. Newer to the market are cups without a spout at all. They look just like a normal glass and work by having small sipping holes lightly capped with a layer of flexible silicone. Personally, I think they are amazing. They are manageable for a younger baby (my son got one at 11 months), but are also a fantastic transition to lidless tableware for later on. Pro: The style makes it a lot more spill-proof than some other varieties and the cup can be used without a lid later. Con: These cups are a little harder to find, and definitely pricier. The colours are loud, and I wonder about the ease of keeping the lid clean long term. 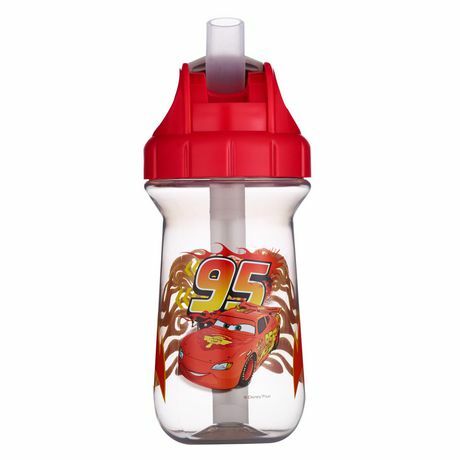 On the topic of keeping your sippy cup clean - like bottles, they should be periodically sanitized. Be sure to read instructions before putting one in a microwave sanitizer or boiling. Even if you're on top of keeping them clean, cups don't last forever. The combination of water, warm temperatures, mouth bacteria, and occasionally fruit juice sugars... the plastic can break down and form mold in ridges or stoppers. Time for a new cup!